Ocean acidification is a term that describes the change in the chemistry of ocean waters, largely due to increased carbon from the atmosphere entering the ocean. Acidification can also occur in coastal regions from changes to river flow (e.g. from increased precipitation) and nutrient inputs. Increased nutrients from fertilizers and runoff can cause eutrophication, which is another mechanism by which carbon dioxide concentrations can increase in coastal waters. These changes in ocean and coastal water chemistry can affect the entire marine ecosystem. It is necessary to identify the broader impacts of acidification in the Southeast so we can adapt to changes in ocean chemistry and its potential effects on marine ecosystems. Formed in February 2015, the Southeast Ocean and Coastal Acidification Network (SOCAN) is an interdisciplinary network of scientists, resource managers, and industry, non-profit, and government representatives dedicated to supporting and encouraging discussions on ocean and coastal acidification in the Southeast. We welcome inquiries from interested parties or potential new partners. 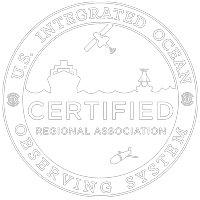 Funding for this project is provided by the National Oceanic and Atmospheric Administration to the Southeast Coastal Ocean Observing Regional Association (SECOORA).